Jin’s work revives the theme of information overload in the digital age, and the growing complications of self-realization within the globalised society. 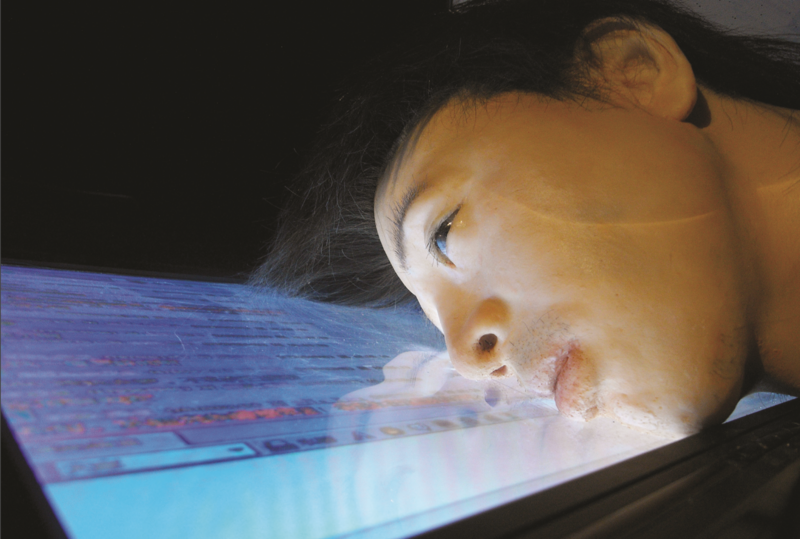 The video and sculpture installation shows a man slumped over a flat screen monitor that rests on a table. Above him hang 20 other monitors showing different Web pages. Is the man dreaming of the monitors or are they the cause of his catatonic state, or both.